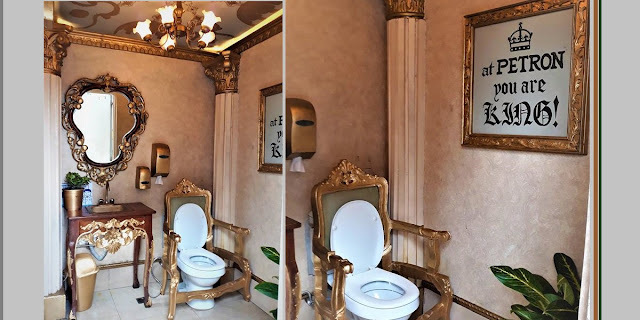 People sometimes refer to their own bathrooms as ‘the throne room’, but this particular gas station toilet is actually decorated to look like a medieval throne room. 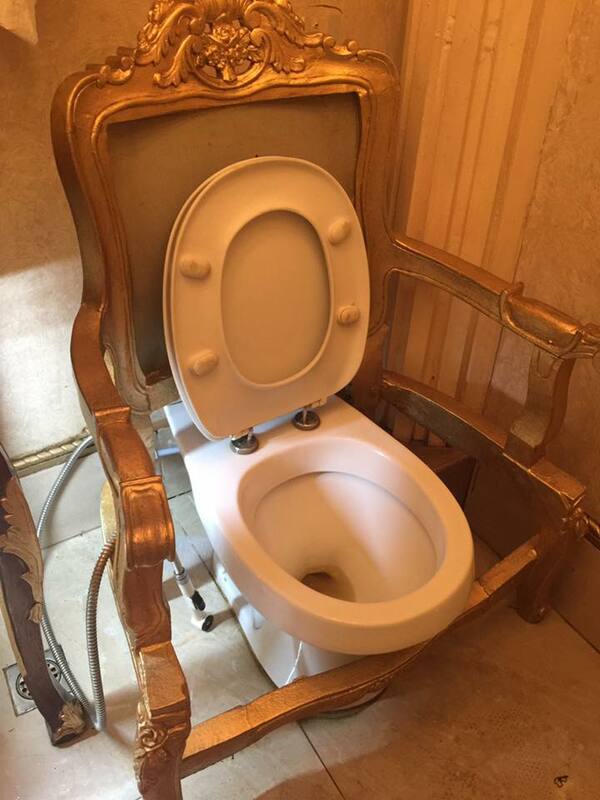 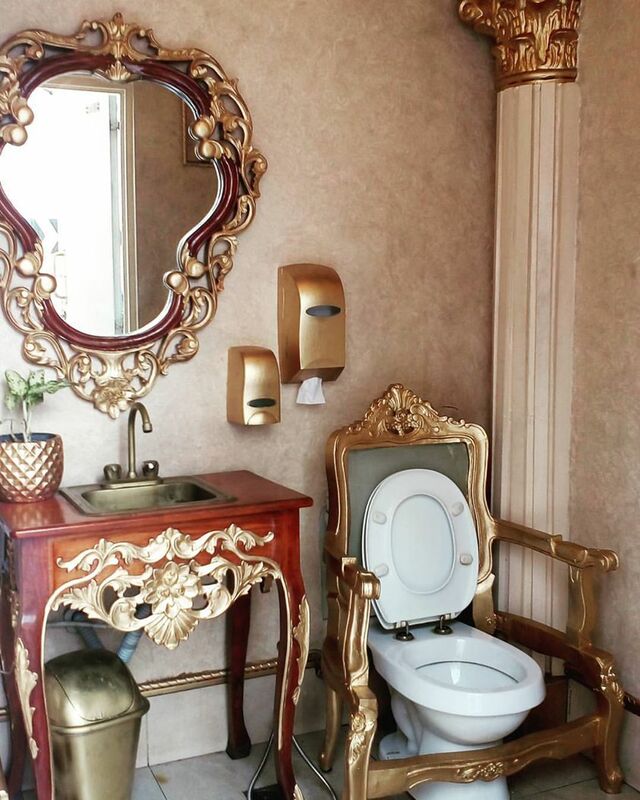 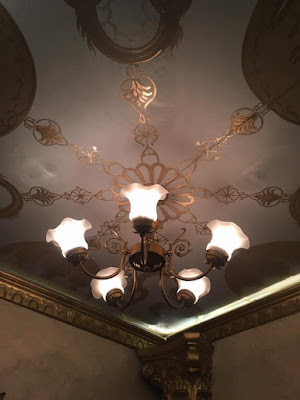 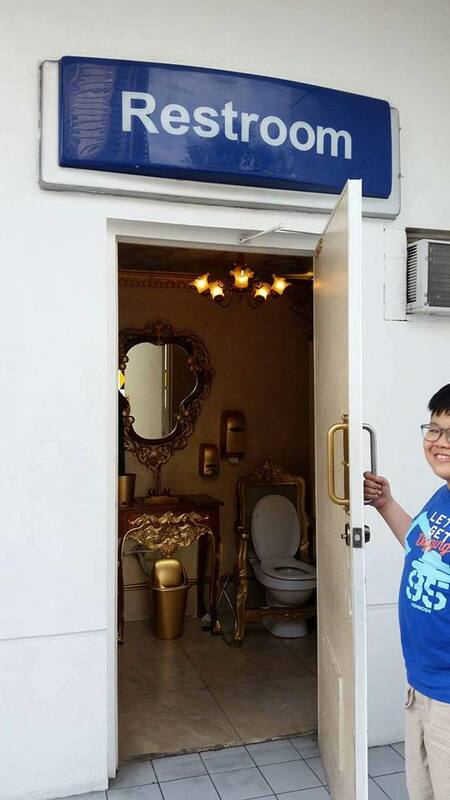 It features gilded wall and ceiling decorations, a big gilded mirror, a small chandelier and even a wooden throne frame around the toilet bowl. 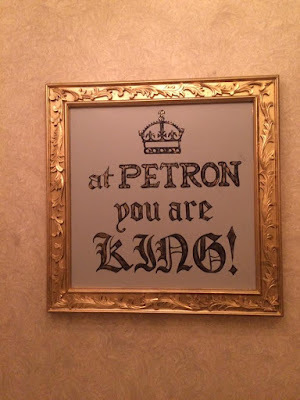 And Petron makes no secret of wanting it’s customers to feel like real-life kings when using their spectacular facility. 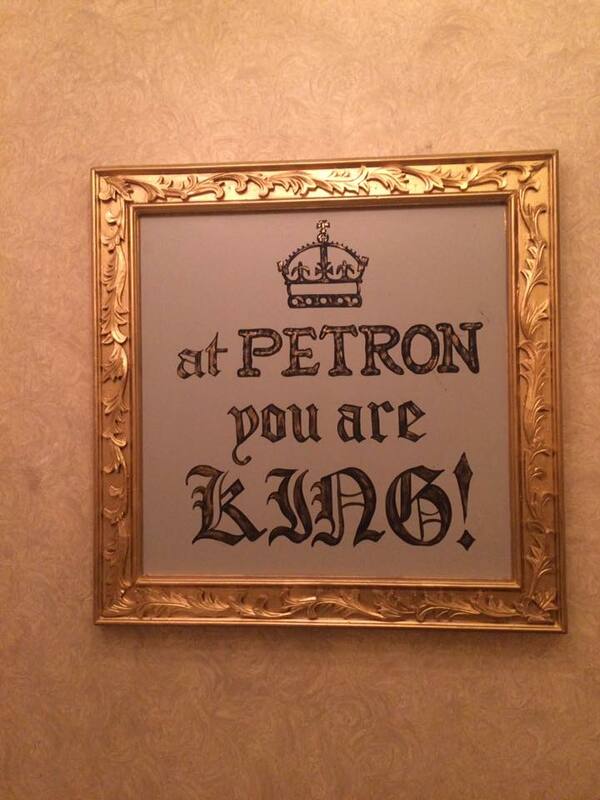 Hanging on the walls is a big sign – with a gilded frame, obviously – that reads “At Petron you are KING!”.